Charlotte, N.C. Aug. 19, 2016 — Laurel Street Residential, Charlotte based affordable and mixed-income housing developer, and St. Paul Baptist Church recently broke ground on an affordable senior and multifamily housing development located at 1322 Allen St. in the Belmont neighborhood of Charlotte. The groundbreaking event, which took place in the youth sanctuary of St. Paul Baptist Church, located at 1401 Allen St., featured several speakers, including George Dunlap, Mecklenburg County Commissioner and chairman of the St. Paul Board of Directors; Mecklenburg County Commissioner Chair Trevor Fuller; Councilwoman Patsy Kinsey; and Gwen Garnett, president of Zechariah Alexander CDC, an affiliate of St. Paul Baptist and a financier to the project. 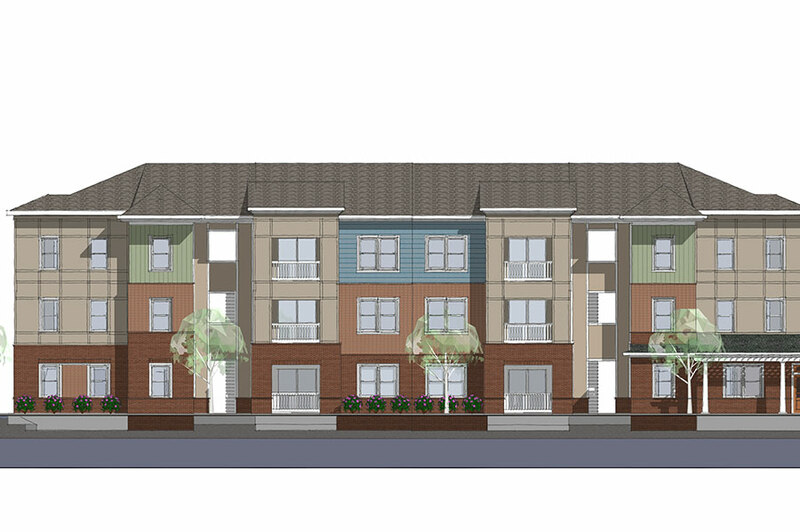 The 112-unit, affordable community will be comprised of a 60-unit senior housing building, 29 townhome-style family units and a 23-unit garden-style apartment building. The units are designated for seniors and families at 60% Area Medium Income (AMI) and below for their appropriate household size. The development is scheduled to be completed by end of 2017. 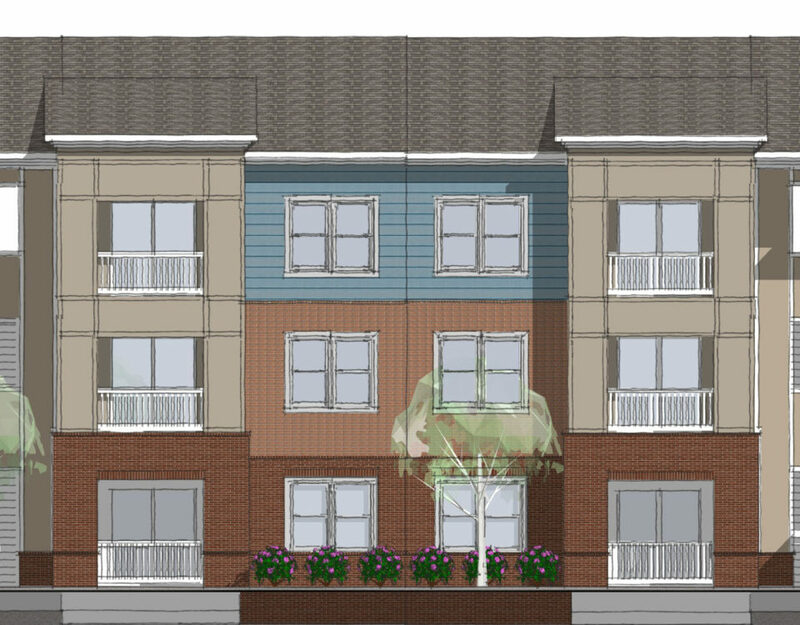 The development serves as the residential component of the envisioned master plan prepared by St. Paul Baptist Church to expand affordable housing in the Belmont neighborhood. Residents will be able to enjoy amenities such as outdoor sitting areas, playground, computer center, community room, fitness center and a covered picnic area. The goal of the project is to help manage the impact of gentrification on the local community while respecting the medium-density residential character and rich history of the surrounding neighborhood. The architecture is intended to reflect both the architecture of St. Paul Baptist Church and the old craftsman style found throughout the Belmont area. The church has been located on Allen Street since they were displaced in 1969 during the Brooklyn neighborhood urban renewal initiative. Laurel Street Residential, general contractor Miles McClellan Construction, architect Neighboring Concepts and civil engineer Bohler Engineering are working together to connect the church to the Belmont neighborhood to tie into the inclusive culture of the church. The development is being financed by public and private investments including a 4% tax credit and tax exempt bond allocation from the North Carolina Housing Finance Agency, $4.35 million loan from the City of Charlotte Housing Trust Fund an $8 million construction loan from Bank of America, permanent financing from Greystone, and loans from the Zechariah Alexander Community Development Corporation (CDC) and St. Paul Baptist Church.